By administrator in IMC Exploration Group (IMCP) on 29th January 2016 . Pt 13 – The Prospect of Large Gold Nuggets! 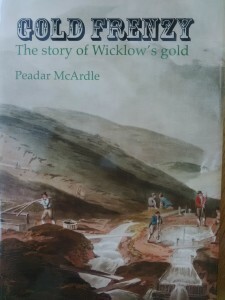 “The Wicklow Nugget, found in Ballin Stream in County Wicklow, 1795.” It was owned by King George III and weighs 682g. Mr Atkinson, Lord Carysfoot’s agent, refused 80 guineas for a gold-encrusted quartz specimen, according to newspapers of 1795. 22oz nugget bought by Turner Camac for £80 12 shillings and presented to George III, who had it made into a snuff box. 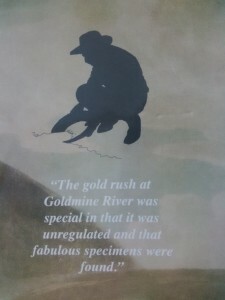 There will always be fascination about the largest gold nugget and what happened to it. The information above is from authoritative accounts – which shows the level of confusion! So it is time to turn to Valentine Ball (1843-1895), a tall bearded man who spent 17 years with the Geological Survey of India in the search for economic minerals. He had notable success in finding coal deposits in West Bengal which are still being mined. Following a short stint in the Chair of Geology and Mineralogy at Trinity College Dublin, he became in 1883 the Director to the precursor to the Natural Museum of Ireland. He oversaw its relocation to the Leinster House premises it still occupies but was forced to resign through ill health at age 51 and died shortly after. He was clearly motivated in his new post. His interest in the gold nuggets arose from his need to label accurately any material held by the museum.